What is a Wyoming Non-Compete Agreement? Wyoming Non-Compete Agreement: What Is It? 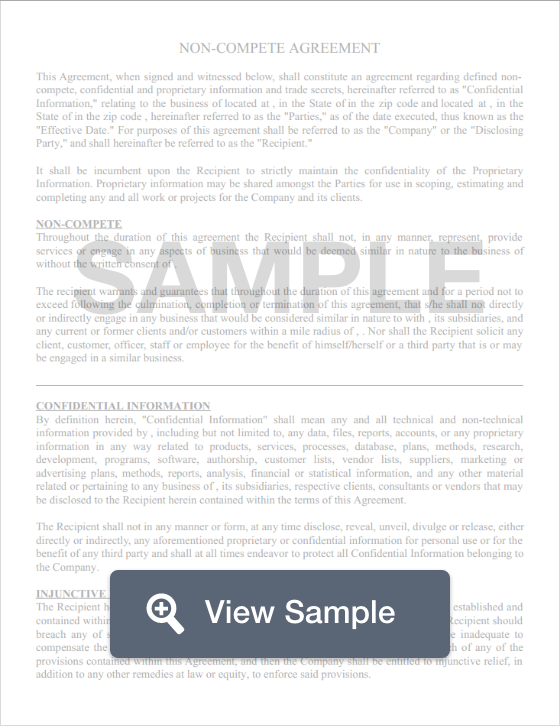 In Wyoming, a non-compete agreement is a legal document that allows businesses and companies to protect their business practices and trade secrets by receiving a written promise from their employees that they will not share sensitive company information to competitors once their employment comes to an end. This means that once the employee no longer works for the company, he or she must refrain from procuring employment with certain companies, or refrain from working a similar job within a certain geographic region. Non-compete agreements are legally enforceable and prevent an employee from spreading sensitive information by exposing them to fines, reparations, and possibly jail time should they violate the agreement. Although Wyoming has no specific non-compete agreement laws, these agreements are treated as legal contracts. Though no specific statues enforce these agreements, they must be formed with fairness, not imposing a greater restriction than necessary on the employee in order to protect the interests of the company.